The Yak-130 displayed at the International "ARMY Games" 2016. Manila’s growing disillusionment with the United States opens up a big window of opportunity for Russian weapons manufacturers. One of the weakest military forces in Southeast Asia is looking towards Russia to beef up its defense. After being denied weapons – and criticized in the U.S. media – for his take-no-prisoners policy against the drugs mafia, Filipino President Rodrigo Duterte has indicated he may turn to Moscow to provide his country with weapons. The Armed Forces of the Philippines (AFP) require an urgent infusion of modern weapons, but what the AFP doesn’t need are expensive toys. High-performance – and gas guzzling – warplanes like the F-16 (offered by the U.S.) or the South Korean FA-50 Golden Eagle jet fighter are redundant for two reasons. Clearly, Manila’s primary security threats are land-based – communist insurgents and Islamic groups who have been running a separatist movement for decades. What the AFP requires are light ground attack aircraft that can be deployed against terrorists in the dense forests of Southeast Asia. The cheap and Syrian War tested Su-25 (NATO codename Frogfoot) is ideally suited for this role. It is a heavily armored aircraft that would provide Filipino troops close air support and is almost invulnerable to small arms fire from the ground. If Moscow cannot spare sufficient numbers of the Su-25, its future replacement is already here in the form of the Yakolev Yak-130. At just $15 million per unit, this subsonic fighter is the friendly fighter for countries with limited budgets. 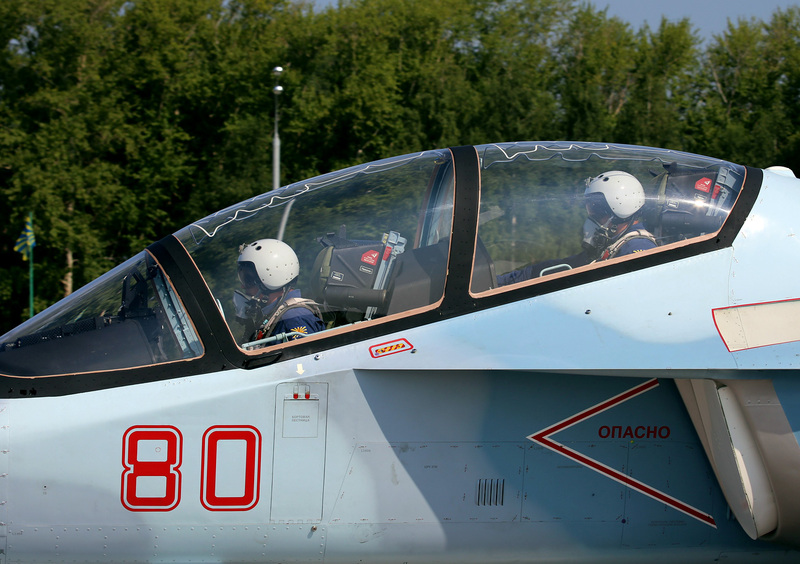 "The Yak-130’s multi-mission capabilities in training, air policing, and counterinsurgency make it an attractive option for some customers beyond Russia," says Defense Industry Daily. The Jamestown Foundation says because of the focus on the army, the operational effectiveness of the Philippine Navy and Philippine Coast Guard has suffered accordingly, leaving the country's sea lanes largely unprotected. Having the eighth longest coastline (36,000 km) in the world, the country is subject to porous borders and coastlines. Russian short range missile boats – which performed spectacularly in attacking ISIS targets in the ongoing Syrian war – could address this issue. The Philippines government has also approved for purchase attack helicopters, long-range patrol aircraft and radar. Russia has a range of battlefield support helicopters such as the Mi-17 and Mi-35 gunship, which is being deployed by Afghanistan against the Taliban terrorists. In radar, Russia has developed an insanely large variety of platforms for tracking everything – from cruise missiles to stealth aircraft. Manila’s urgent requirement of assault rifles can be easily met. For, Russian rifles are known to be among the most reliable, especially in the damp Southeast Asian environment where the AK-47 has proven itself in battle. For more specialized counter-insurgency needs, the NSV or Utyos machine gun uses the powerful 12.7 mm round, which is highly effective against light armor as well as helicopters. But combatants value its range of 1500 meters that does not allow the enemy to approach within the effective assault rifles range of 500-600 meters. Russian Foreign Minister Sergey Lavrov has highlighted the military-technical cooperation with the Philippines. The two sides advocate promoting the bilateral collaboration, Lavrov said after meeting with Philippine Secretary of Foreign Affairs Perfecto Yasay in Moscow on Dec. 5. Last September, a Filipino delegation participated in the ‘Army-2016’ International Military-Technical Forum, in which the Philippines had the opportunity to study Russian weapons and equipment. Military vessels of the two countries also visited each other’s ports. Philippine Secretary of National Defense Delfin Lorenzana was in Moscow for talks with the Russian Minister of Defense Sergey Shoygu and officials at the Federal Service for Military-Technical Cooperation. Also, diversifying weapons purchases should not be looked at as some sort of complicated surgery involving separation of conjoined twins. A number of countries have achieved what initially looked difficult. India, which relies on Russia for 70 to 80 percent of its requirements, is currently a major buyer of US and Israeli weapons. Similarly, around 75 percent of the Philippines’ arms imports since the 1950s have come from the U.S., according to Stockholm International Peace Research Institute. Manila will face censure for flirting with Russia and its armed forces will also experience some adjustments issues but it will all work to its advantage. If Russia finally gets a foothold in the Philippines arms market, it must avoid making the mistakes the U.S. made. For instance, the silver bullets strategy won’t work in a country that cannot afford them, and where the defense brass has strong ties to the Pentagon. Not only will Moscow have to supply weapons that suit local requirements, it will have to sidestep corruption. According to Neri Colmenares, party list representative for the leftist Bayan Muna movement, efforts to make the Philippines defense "credible" are in vain and will only serve to increase dependence on the U.S.
Views expressed in this column are personal.